On average, new production facilities are built in only 18 months in accordance with a proven production system. Every second production machine in our plants was manufactured by our very own Special Machinery department. Schaeffler’s global production network ensures that perfection is achieved – whether it be for establishing a new plant, setting up an assembly line, or implementing new machining technology. More than two thirds of Schaeffler employees work in production or in areas close to production and have turned Schaeffler’s production system into a success story. “Schaeffler’s global production network ensures that our plants all over the world meet the same high requirements in terms of efficiency and quality. From procurement, production and assembly through to logistics”, explains Oliver Jung, Chief Operating Officer. 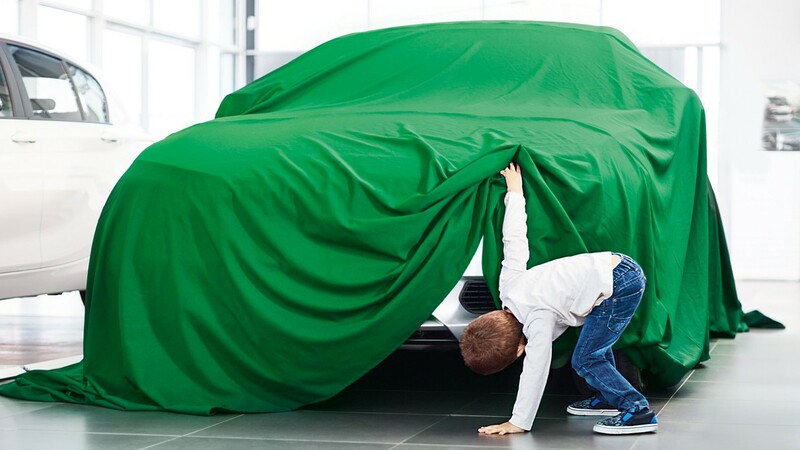 This way Schaeffler ensures that new products roll off the production line with the desired level of quality from the very beginning. Our plants are the core of the production system. Schaeffler quickly expands its production in areas where new markets open up. The Schaeffler production system is designed to ensure that innovative methods and processes are very quickly transferred from one location to the next. Standardization accelerates production startup and thereby makes it possible to respond flexibly to regional market fluctuations. Almost every product can be produced at several locations around the world. “Our plants are the core of the production system”, says Oliver Jung. Strong technological networks ensure that the Special Machinery, Tool Management, and Manufacturing Technology departments, for example, are always up to date throughout the entire Schaeffler world. Schaeffler expands its global production network by one to two new plants every year. In the last 15 years alone construction projects covering more than one million square meters of space have been completed. This is the equivalent of 150 soccer fields. Furthermore, the numerous existing plants with building extensions have not been included in this calculation. Schaeffler’s growth is closely linked to continuous building activities all around the world. All plants are built quickly according to a sophisticated modular principle. Once the decision has been made to build, it only takes an average of 18 months until the start of production in a new Schaeffler plant. Not only the machines are subject to global uniform standards, but also the entire material flow and the amount of space utilized. This is evident by looking at the first stage of construction of the plant that opened in 2014 in Nanjing, China. It is here that individual product groups from the plant in Taicang are expanded and brought together. The product range includes various rolling bearings and components from linear technology. At the same time, the factory planning commenced as did the work of the Building department and the specialists for machine procurement. Schweinfurt, Höchstadt, Wuppertal, and Haguenau know how to run things. Depending on the product, they have assumed the so-called lead plant role model function for production in Nanjing and other factories worldwide. However, the long-standing locations also learn from the new locations. The newest plant in Nanjing has now become a role model for internal logistics and particularly short throughput times. The lead plant concept is also the basis for an intensive employee training course before the start of production in a new plant. Many employees from foreign locations often work for a number of months in the lead plant. When they return home, they find the exact same conditions and processes in the new plant. The advantages speak for themselves: A smooth-running volume production startup and the best possible quality from the very beginning. Schaeffler demonstrates perfection in production not only in production planning, but also in forming and materials technology. New production technologies at Schaeffler make it possible to save material and energy, for example, and at the same time, to produce superior quality components. It is a matter of using the forming technology and the subsequent heat treatment in such a way that produces components with a very high level of geometrical and surface quality. This means that the otherwise subsequent grinding process step is no longer necessary. This sounds easier than it is because metallic components are easily deformed during hardening. In many cases, however, dimensions may only deviate by a few microns from the ideal geometry. It is not individual technologies that enable innovative products, but their intelligent combination. Schaeffler engineers are, however, capable of producing an increasing number of products without having to carry out rework on them after hardening. This is due to a unique combination of expertise from material specialists, simulation experts, tool makers, and specialists for heat treatment and forming technology. The production of a camshaft phasing unit for internal combustion engines has undergone a number of development stages. It is currently made from individual components produced by forming that are characterized by a high level of complexity and their thin-walled design. The central valve housing for the camshaft phasing unit has also been thoroughly revised. Today it is produced using less material in a multi-stage deep drawing and stamping process made from sheet metal two millimeters thick. The manufacturing costs are reduced thanks to, for example, a design suitable for manufacturing, reduced use of material, and the optimized process chain. The savings in energy and material also lead to reduced environmental impact and enhanced competitiveness. Product development is constantly being refined, as can be seen in the electromechanical camshaft phasing unit. Heat treatment changes the structure of metals permanently. This is why furnaces are mostly used for smaller components, through which the workpieces run on a conveyor belt. Larger components are heat treated in bell-type furnaces, in which entire pallets with parts are placed. Schaeffler’s expertise lies in the precise adjustment of the furnace parameters, such as temperature and time, to match the material in order to obtain the required product characteristics. Large-size bearings are increasingly being induction hardened. The significantly faster and more efficient method uses magnetic fields to heat the material from inside. In production, the manufacturing technology ensures that the products not only look great, but that they are great. The grinding of bearing rings is therefore one of Schaeffler’s core areas of expertise. Around 3,000 turning and milling centers and more than 3,500 grinding machines are used in Schaeffler plants worldwide. 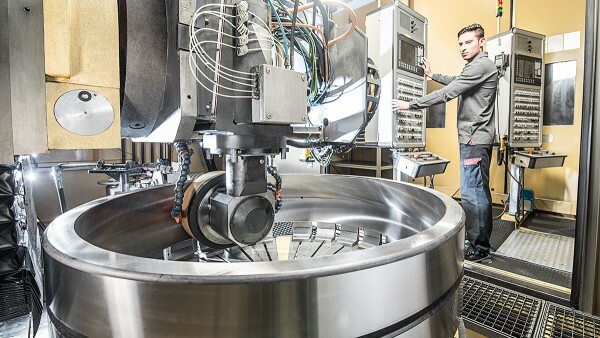 Schaeffler’s superior quality is based on an in-depth understanding of the connection between machine, tool, and process. All the information, which determines the processes and results, is stored in a technology database available worldwide. 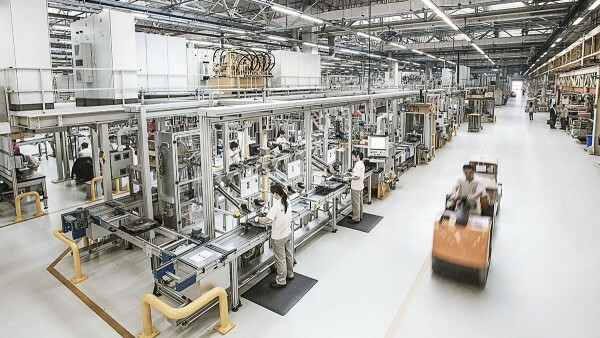 Thanks to extensive standardization and uniform user interfaces for machines, the cycle times can be reduced by 30 percent. 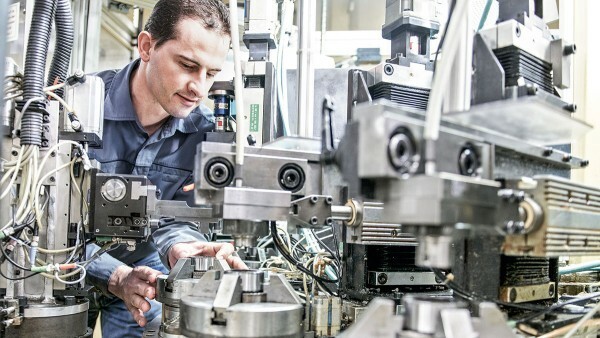 The high requirements for machines and processes are also demonstrated by the fact that many of the machines used are developed in-house by Schaeffler. This also includes measuring machines, which automatically measure and readjust the parts if necessary behind the machines. The production developers have also developed their own grinding machines for grinding bearing rings. Their modular design enables the complete machining of the workpieces from all sides. 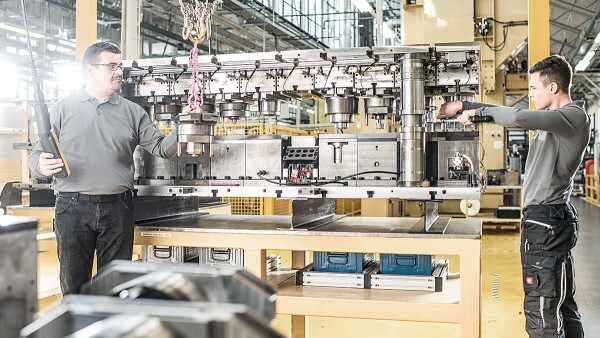 Our own machines ensure that production is perfect. It is not a coincidence that around half of the production machines in the Schaeffler plants were manufactured by Special Machinery. 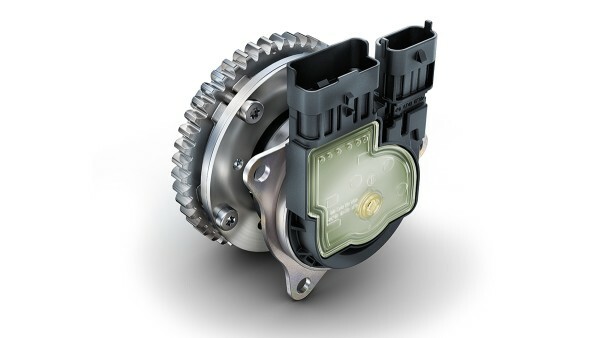 This way Schaeffler secures its important expertise in manufacturing and assembly and can bring complex products such as the electromechanical active roll control system onto the market more quickly. The focus of Special Machinery is on assembly and testing machines, and machining centers. In addition, Schaeffler possesses comprehensive expertise on all aspects of machine control systems, measurement technology, image processing, and laser welding technology. 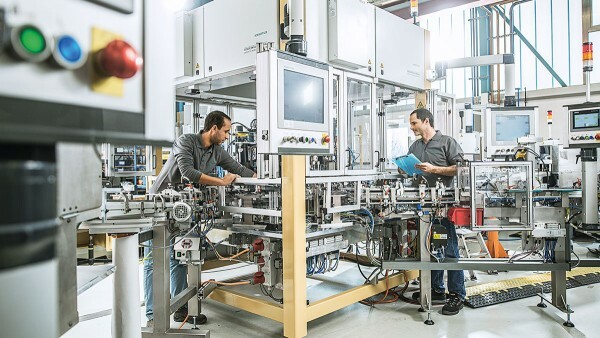 The production processes are also subject to continuous change like the Schaeffler product range, whereby complex mechatronic systems are becoming increasingly important. 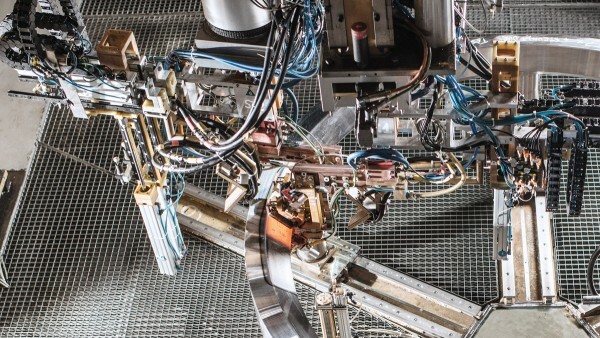 A current example for mechatronic systems is the electromechanical active roll control system that was put into volume production in 2015 and ensures safer driving. The weight (up to 14 kilograms) and length (up to 1.4 meters) of this product alone make transport and automation more difficult. It was therefore essential to plan as early as the design phase, how the individual components were to be later mounted. The integration of machining processes such as drilling, milling or grinding is one of the current trends in Special Machinery. This also includes the induction hardening or washing of parts directly in the assembly line. The consistent machining from the blank to the finished part on one assembly line prevents intermediate storage on the belt and reduces the logistic outlay.